The Yoruba people are one of the most popular ethnic groups in West Africa and Africa at large. They are predominantly found in Southwestern and north-central region of Nigeria and in some parts of the Benin Republic and Togo. In this article, we’ll present to you everything you need to know about the ‘Children of Yoruba’, their language, religion, tribe, culture and other interesting facts you probably didn’t know about them. Also known as Àwon omo (which literarily means ‘The Children of Yoruba), the Yoruba tribe reportedly constitute over 40 million people generally, including those in Southern and Central Benin. In Nigeria, this wonderful tribe boasts 21% of the population, making them a major tribe and one of the largest ethnic groups in the Western Africa country. The Yoruba are surrounded by some minor ethnic groups in Nigeria as well as in Benin. To the northwest in Benin, they share borders with the Bariba, the Ebira to the northeast in central Nigeria, the Nupe to the north and the Edo, the Afemai and Ẹsan groups to the east in mid-western Nigeria. The Yoruba tribe also shares borders with the Gbe speaking Mahi, Egun ethnic group, Fon to the southwest and the Ewe people living in Benin and Togo. To the southeast, they share a border with the principal inhabitants of Itsekiri who live in the north-west end of the Niger Delta. Though the Yoruba are mostly populated in Nigeria, they also dwell (in large number) in other West African countries like Liberia, Ghana, Ivory Coast, and Sierra Leone. 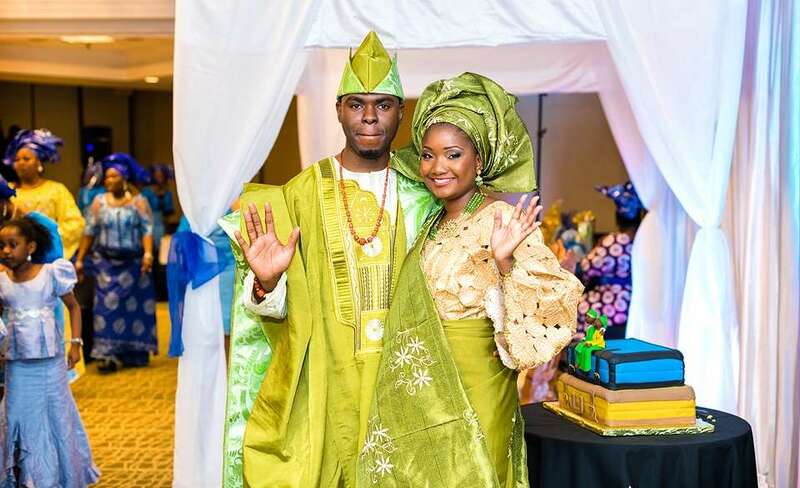 There are two major groupings of Yoruba people in the diaspora; the first group is known as recent migrants and they are made up of Yorubas who migrated to the United Kingdom and the United States in the 1960s to 1980s as a result of major economic and political changes. The second group consists of Yorubas who were part of the Atlantic slave trade. According to reports, the second group are larger in number and has communities in countries like Trinidad, Tobago, Dominican Republic, Cuba, Saint Lucia, Jamaica, Brazil, and Grenada, among others. According to history, The Yoruba kingdoms were a part of the British Protectorate during the imperial era in Africa. They strongly believe they descended from Oduduwa. Ancient Yoruba practised polygyny, the men were allowed to marry more than one wife, while also treating them equally, although competitions were evident among wives in order to secure preference for their children. Some Yoruba still practice this act, with the most popular being the Alaafin of Oyo, Oba Dr. Lamidi Olayiwola Adeyemi III, who is currently married to four wives. As at 2010, records had it that about the number of Yoruba language speakers was put at 30 million. While we are yet to confirm if this figure actually increased or dwindled over the years, we make bold to affirm that majority of Yoruba people are native speakers of the Yoruba language. Like most languages, the Yoruba language has a myriad of different dialects. These dialects are further grouped into five major dialect areas which are: Northwest, Northeast, Central, Southwest and Southeast. The North-West Yoruba (NWY) dialect is predominantly spoken in the following areas: Egba, Ibadan, Egbado/Yewa, Ọyọ, Western Ogun, Lagos/Eko while residents in the Yagba, Owe, Ijumu, Oworo, Gbede, and Abunu areas speak the North-East Yoruba (NEY) dialect. The Central Yoruba (CY) dialect is predominantly used by residents in Igbomina, Ijesha, Ifẹ, Ekiti, Akurẹ, Ẹfọn while Ikale, Ilaje, Ondo City, Ọwọ, Idanre, Akoko, Remo, and Ijẹbu communities are speakers of the South-East Yoruba (SEY) dialect. Lastly, the South-West Yoruba (SWY) dialect is majorly spoken by Yoruba communities in Ketu, Awori, Sakété, Ifè (Togo), Idasha, and Ipokia/Anago. 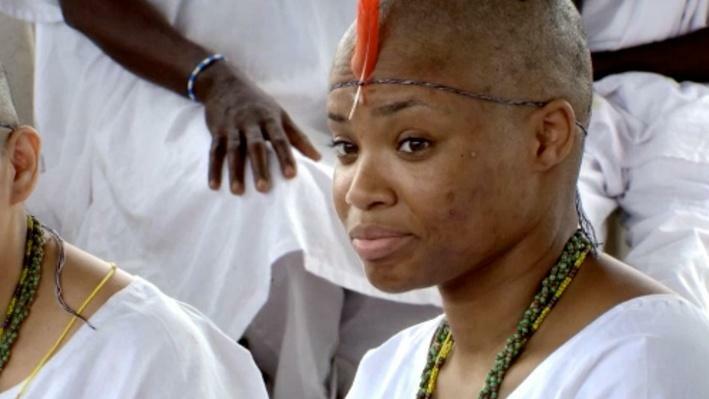 Interestingly, many Yoruba words are used in the Afro-Brazilian religion known as Candomblé and in many other Afro-American religions in the Americas and the Caribbean. Irrespective of the aforementioned discrepancies in the Yoruba language, the tribe has a standard variety of Yoruba known as Literary Yoruba, Yoruba koiné, or Yoruba. This variety, which has its origin in the 1850s, is the written form of the language and is widely used in the media by newsreaders. All credit to Samuel A. Crowther, the first African Bishop, who was the first person to publish a Yoruba grammar. Among all the languages spoken by ethnic groups in Nigeria, the Yoruba language is most closely related to the Igala (spoken in central Nigeria) and the Itsekiri language (spoken in the Niger Delta). Southwestern Nigeria and the adjoining parts of Benin and Togo are not just the homelands of the Yoruba people, they significantly double as places where the religious and diverse traditional practices of the people are played out. Records have it that at least 20% of the Yoruba practice the traditional religions of their ancestors. Yoruba religious beliefs share tied with Itan, which comprises songs, histories, stories, and other cultural concepts of the Yoruba society. The Yoruba strongly believe every man possesses “Ayanmo” (destiny, fate) and that Olodumare is the principal agent of creation. In addition, they also believe reincarnation within the family which they call ‘Atunwa’. The Yoruba ethnic holds that the ruler of the sky and the earth beneath the sky is Olorun (Sky God) and is orisha to other orishas. They believe the Olorun is the father of Orunmila and Obatala. He can be communicated through prayers or by pouring water on kola nuts on the ground. Eshu, another god, is considered the divine messenger who takes up sacrifices to Olorun after they are placed at his shrine while Ifa, the God of Divination, interprets the wishes of Olorun to mankind. Ogun is the god of war, the hunt, and metalworking. In Yoruba courts, people who follow traditional beliefs swear to give truthful testimony by kissing a machete sacred to Ogun. Then Shango (also spelt Sango and Sagoe) is the creator of thunder. Virtually every ethnic group has cultural norms that are passed down from one generation to another. The Yoruba are not exceptional, as they survive on unique cultural norms they consider precious and irreplaceable. The Yoruba ethnic group is very protective of their culture, and most of them continue to give their children traditional names rather than English and would speak their language at any given opportunity. From their artistry (which embodies sculpture, textile, cuisine) to other things like naming customs (Naming, Oruko Amutorunwa – Preordained name, Oruko Abiso – Name given at birth, Abiku names, pet names), law, linguistics, wedding, music, funeral, philosophy, idealism, religion, and language, the Yoruba are quite unique, blessed and hardworking. The Yoruba are famous and prolific sculptors. They are also popular for their beautiful clothing designs and patterns. Some of their native food include moin-moin (steamed bean pudding) and akara (bean cake), ewedu, gbegiri, and efo riro (native soups), “ila asepo” (okra soup) and amala (a traditional fufu made of yam flour). They Yoruba also believe so much in giving relevant names as well as pet names to their babies and loved ones. This is because they believe people live out their names – whether good or bad. Weddings in Yorubaland are usually a lovely sight to behold. For a wedding to take place in Yoruba, the bridegroom is expected to first receive the consent of the bride’s parents after which he pays the bride price. Friends and the family of the bridegroom usually attend the ceremony to send her off to her new home. Like most ethnic groups, the Yoruba believe death is not the end of one’s life but simply a transition to another form of existence. They also believe in old age, this is why most of them pray for long life during blessings. In addition to this, they often to the creator for wealth and children. Yoruba people are popular for a number of dishes eaten in Nigeria. Some of them include Amala and Ewedu soup, Gbegiri soup, Ewa Aganyin, among others. The Yoruba people are stereotypically described as the “lively bunch” for their enthusiasm for parties. They are known for being good at weaving, embroidering, pottery making, woodcarving, leather and bead working, and metalworking. The Yoruba people craft skill is especially evident in sculpture. The popular Ife “bronze” heads which were found in 1938 also testify to the craftsmanships of the Yoruba people. Other popular arts and craft work by the Yoruba include the Adire, an indigo-dyed cloth made using resistant-dye techniques. They are also known for different genres of music including Akpala, Fuji, afro juju, as well as Afro beats. The popular Aso-Oke (Aso-Ebi) native attire was initially synonymous with the Yoruba people. But today, the gorgeous apparel has become a symbol of Nigerian marriages.